Here is a more up to date photo of the PS Rosette. I did wet it to show the rocks better. I'm going to wait to insert that final M.O.P. piece so it fits perfect in the actual sound-board. 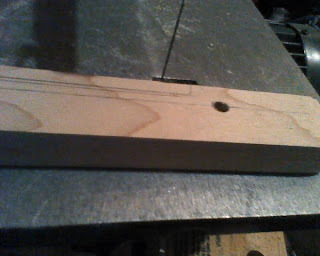 I did do a bunch of sanding to the back of the guitar and the sides this weekend. They are really close to being ready to go – just a little more. Same with the sound-board. I am having some elbow issues that is getting in the way of my sanding (injury from playing basketball two Saturdays ago). 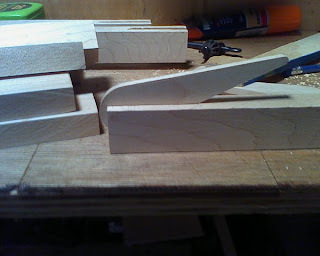 Cam Clamps: decided to make some cam clamps to help with gluing up the soundboard and backboard braces... Plus I just wanted to make some saw-dust with my new table saw! 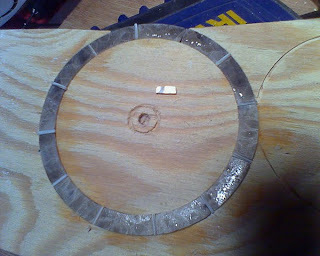 Above, board is cut to size and drilled, and the relief cut is drawn out and ready for cutting. Cam inserted into the board. Below is another look at the cam and all the other boards for the clamps. 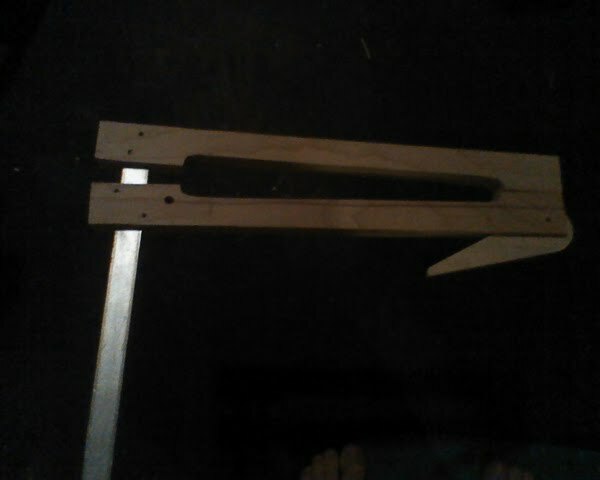 Plus you can see the push stick I made for my table saw. 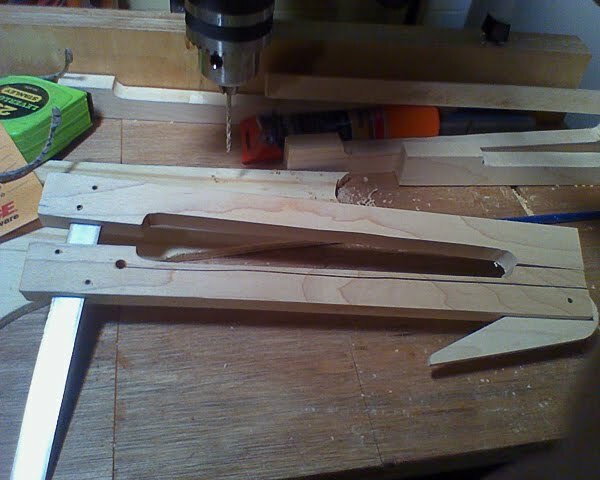 Clamp assembled. I gave this one a little two much angle on the sliding bar. 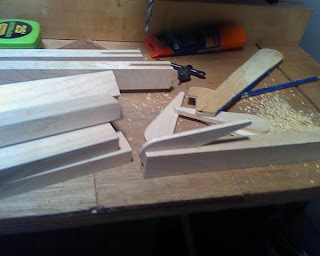 The next one will be better and all that is left to do with the other six is cut the mortise and assemble. I can get about 20#s of pressure from these. 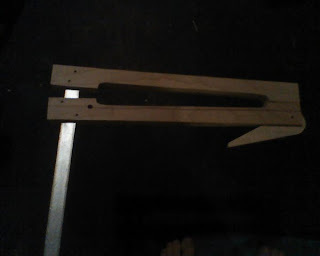 Just another shot of the same clamp.